Just a short drive from the Dubrovnik port lies the tiny little resort town of Cavtat, which Angeline and I visited on the Best of Croatia Shore Excursion with Carnival Cruise Lines. 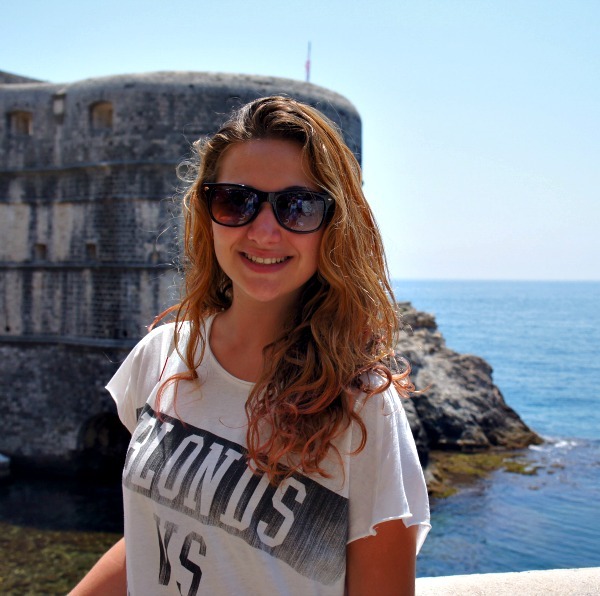 Our cruise was complimentary, and The Best of Croatia was a complimentary excursion we were treated to. 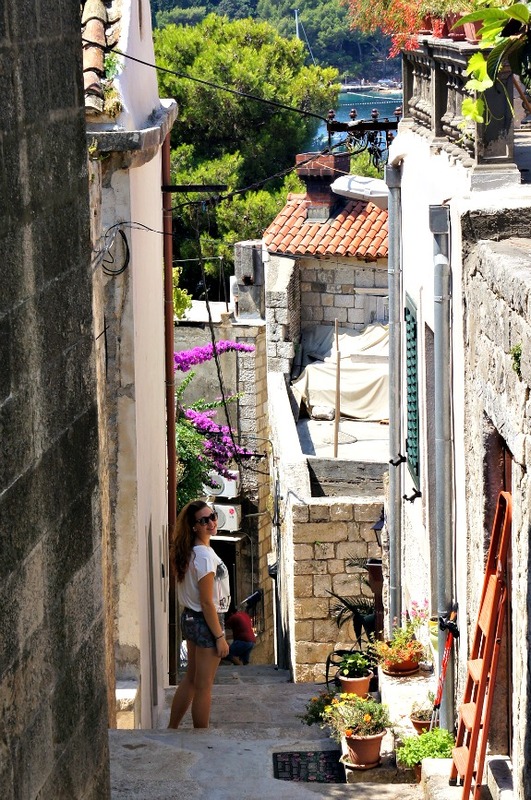 I am so glad that we chose it, because we got to visit a little restaurant, the town of Cavtat, and Old City, where I got this fab picture of Angeline. 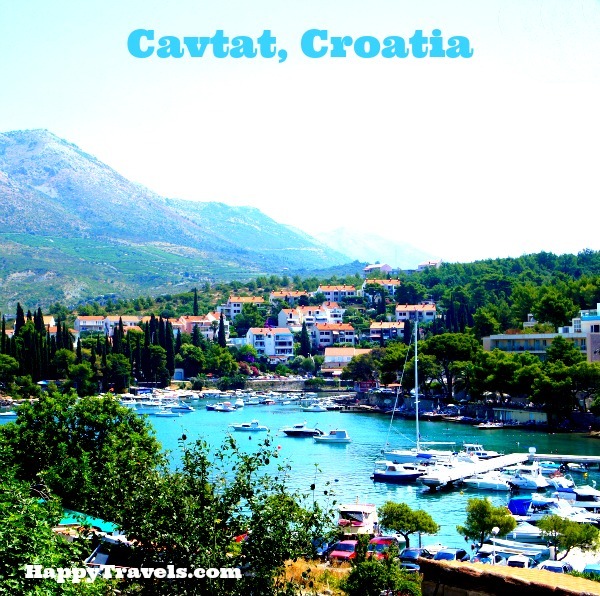 Established by the Greeks in the 6th century BC, Cavtat then fell under rule of the Roman Empire in 228 BC. After being invaded by the Slavs in the 7th century, refugees fled to the nearby island, Laus which eventually became the city of Dubrovnik. 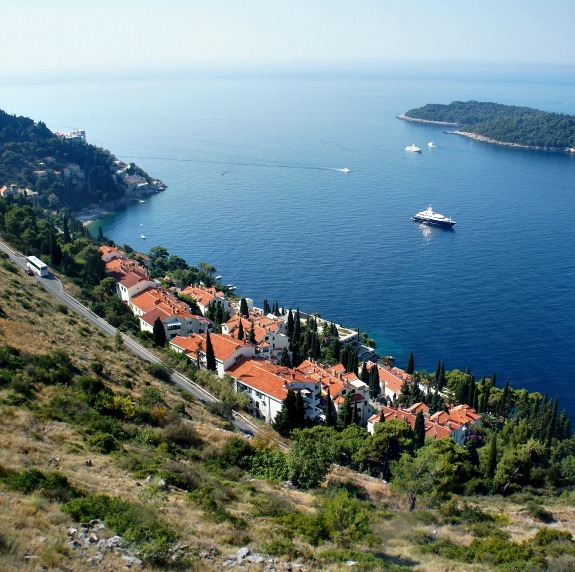 The name Cavtat comes from Civitas Vetus, which actually means old city in Latin. I think that some of the most beautiful photos of our trip were taken in Croatia…which of course means that I want to go back! An air conditioned bus that stops for a panoramic view over Dubrovnik and its Riviera and a 30 minute through the picturesque countryside of Zupa Dubrovacka (Parish of Dubrovnik) and the beautiful villages of Kupari, Srebreno, Mlini and Plat. 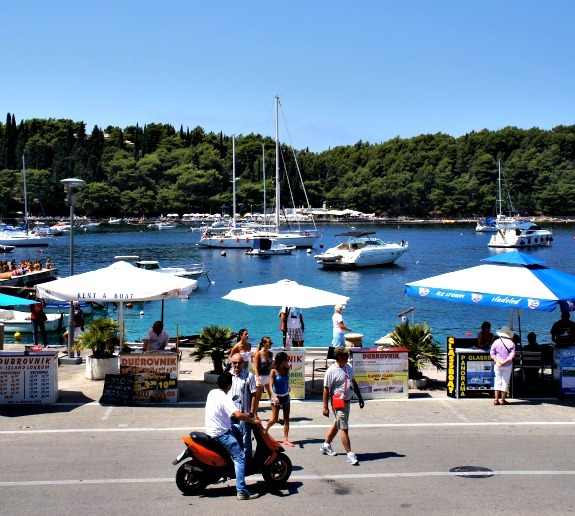 Move into Cavtat, the southernmost town of Croatia, situated in a bay encircled by two peninsulas making it a safe harbor frequented by numerous sailors and yacht enthusiasts. See that few places offer such harmony of Mediterranean flora, emerald sea and architecture while cherishing a rich cultural and historical tradition. A stop will be made here for you to explore independently or to take a stroll along the lovely palmed-lined sea promenade. 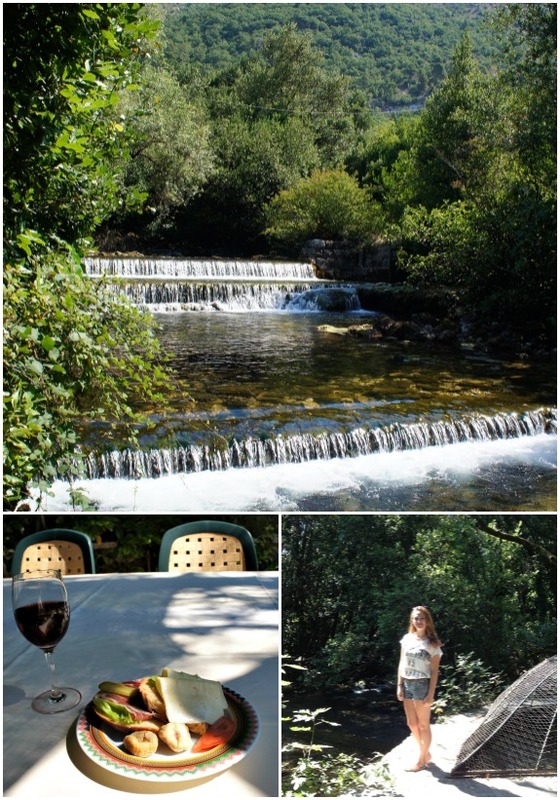 View the spectacular scenery that awaits you as you drive through picturesque villages of the verdant Konavle region to one of their local restaurants. Enjoy a glass of wine and a snack before returning to your motor coach. 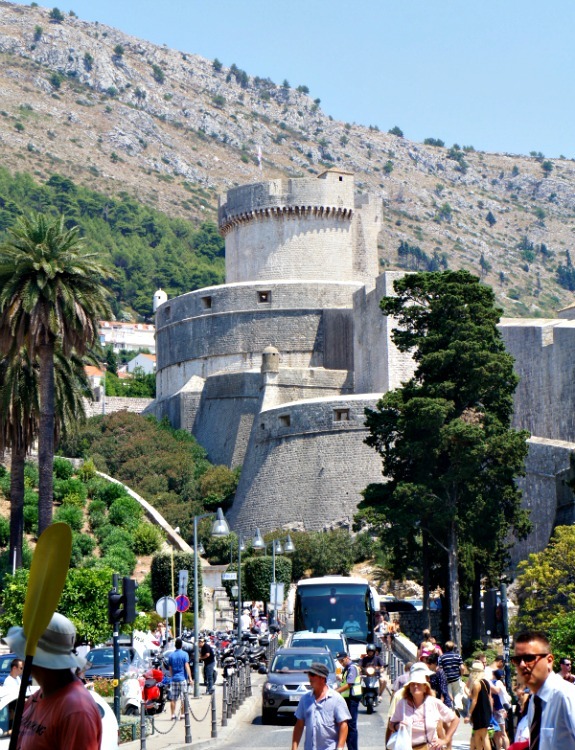 Then, drive back to the Old City Of Dubrovnik for some further free time to explore this beautiful city. You can find out more about the Best of Dubrovnik shore excursion with Carnival Cruise Lines here!